prepared as even a seemingly small storm can bring lots of rain and wind to this area. For those who recently relocated to south Florida, it’s even more important to be informed on how to get ready for a hurricane. Hurricane season starts June 1 and ends November 30. The peak months for hurricane development are August and September. 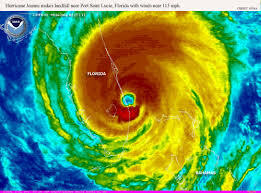 Not everyone may realize that 11 years ago, there were 4 hurricanes that hit Florida and despite warnings, many were just not ready. Even for those of us who had made preparations, it was still hard to adjust to being out of electricity for so long. 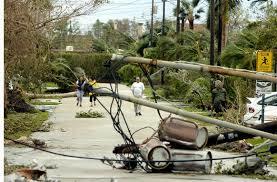 And if you happen to own a generator, you could at least get some relief from the heat and have a couple of appliances running, but it was a very trying and difficult time for most of us. So stay alert on approaching storms and use common sense. Plan well for the safety of your family! Don’t wait until the last minute to get ready. 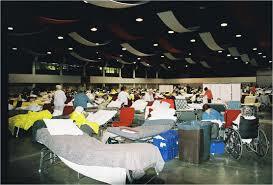 – Have necessary food, water and supplies for your family and pets, medications, first aid kit. – You should have enough food and water (1 gallon of drinking water per person/per day) to last you one week to a month. Stock up on what your family eats (canned fruits and veggies, cereal, bread, crackers, peanut butter & jelly, can soup, tuna and salmon, beans, rice and pasta, instant coffee and chocolate). – Get shutters, storm panels or plywood in place. – Check generator for working conditions, safety precautions, storage fuel. – Fill up your vehicle. 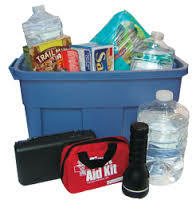 – Get supplies (flashlight, batteries, portable radios, manual can opener, paper plates, plastic cups, garbage bags). – Charge rechargeable cellphones, drills, lanterns, flashlights). – Put important documents in zip-lock bags. – Cooking device (camp stove for outdoor use). – Remove swings, patio furniture, potted plants grills. – Disconnect and remove satellite dish or antenna from your roof. – Remove roof turbines and cap holes with screw-on caps. – Make preparations for swimming pool and boat. – Emergency Toilet (garbage can with lid, plastic bags for liners, bleach, toilet paper). – Be a good neighbor and offer assistance in securing their home. 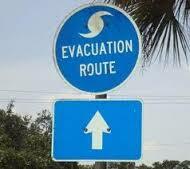 Find out if you live in an evacuation/flood zone, click here. Know how to get the exterior of your house ready for a storm. 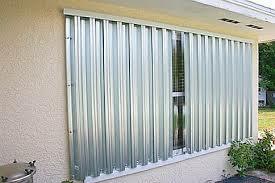 Inspect shutters and know how to secure windows. Remember shelters are a last resort however you should know where they are located. Always let your relatives know where you are headed. 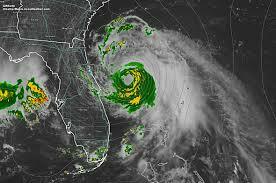 For a list of shelters in PB County, click here. If you have special needs or serious medical condition, make arrangements now to reserve space for a ‘Special Need‘ shelter. You must qualify in advance and you will need a registration from your doctor. To register in Palm Beach County, call 561-712-6400. 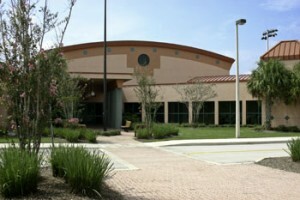 The West Boynton Recreation Center at 6000 Northtree Blvd. in Lake Worth can hold 300 people and up to 700 animals, including dogs, cats and birds. You must be pre-registered, have proof of residency in Palm Beach County, and live in a mandatory evacuation zone. For more information and to pre-register, call 561-233-1266. Secure exterior windows and doors. If the storm becomes intense, move to an interior, first floor “safe room”. If you live in a two-story house, avoid upper floors. Monitor local radio and TV. Use caution after a storm. Be very careful stepping outdoors when standing water and debris are present. Carefully assess damage around your property. Look for downed trees and damage to your roof. Watch and listen for reports. Phones lines may not work. AT&T’s telephone systems require electricity. If power is out longer than eight hours, some may lose phone service. About 75 percent of AT&T’s fiber-optic lines are underground. The ones above ground are connected to the same utility poles as power and cable lines. Comcast cable and Internet service will go out if electricity goes out during a storm. Comcast workers will begin restoring service after FPL has restored power. Driving will be treacherous. Light signals may be out in several intersections. There may be curfews put in place. Check on neighbors and relatives. Do what you can to restore a sense of normalcy. There will be lots of clean up to do so be patient with everyone. For more information, please click here for the PB County website. Be prepared and let’s hope for an uneventful 2015 hurricane season!